Women: Work & Power is a programme packed full of events and activities that celebrate the unsung women that have shaped our history and helped define our national identity. In 2018, anniversaries proliferate with the much-anticipated centenaries of votes for (some) women getting the vote; the first-ever woman MP being elected; the NHS turns 70 and the first female bishop celebrates three years in post. It’s time to shout, to tell the stories of women who have led the vanguard in the struggle for gender equality as well as those who have effected change simply through doing their jobs. With over 70 events, Women: Work & Power invites you unravel a sometimes surprising history, as we amplify voices never heard, and as we celebrate the extraordinary contribution of women to the world around us. Hear a series of talks curated by the Fawcett Society, all-women-musician concerts in majestic City Livery halls, improv theatre and more. Join City of London in celebration of women in front of and behind the camera with their inspiring open-air season at Guildhall Yard. Gal Gadot stars as the DC Comics superhero in an action-packed adventure that see's the Wonder Woman head from sheltered island paradise to the battlefields of WW1. Geena Davis and Susan Sarandon play Thelma and Louise, two working-class friends who together have planned a weekend getaway from the men in their lives. Set just before the First World War, Suffragette explores the increasingly defiant campaign by British women for equality and the right to vote. Doors open at 6pm, screening starts at 8.45pm. Click here to book tickets. 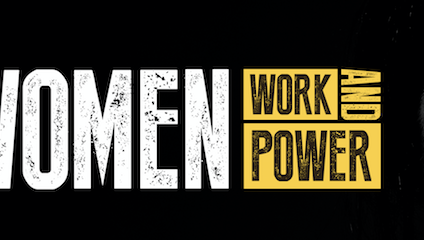 For more information and full list of Women: Work & Power event listings, see here.